Trekking around the Pin Parvati Valley is actually gaining the most spectacular trek from the lush green valley that involves the changing landscape with snow clad mountain peaks, pristine lakes and beautiful meadows with abundance of Blue flowers “Meconopsis” all around. 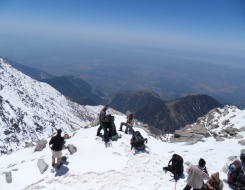 On the way to this high end trekking destination, the trekkers can also achieve the high altitude Maltalai Lake and the famous Pin Parvati Pass. 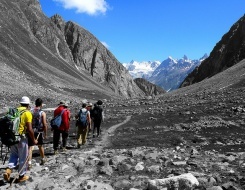 Definitely, trekking at Pin Parvati Pass will bring the trekkers, a sense of achievement at crossing the 5000m+ Himalayan pass and contrasting landscapes of valleys on either side of the pass. 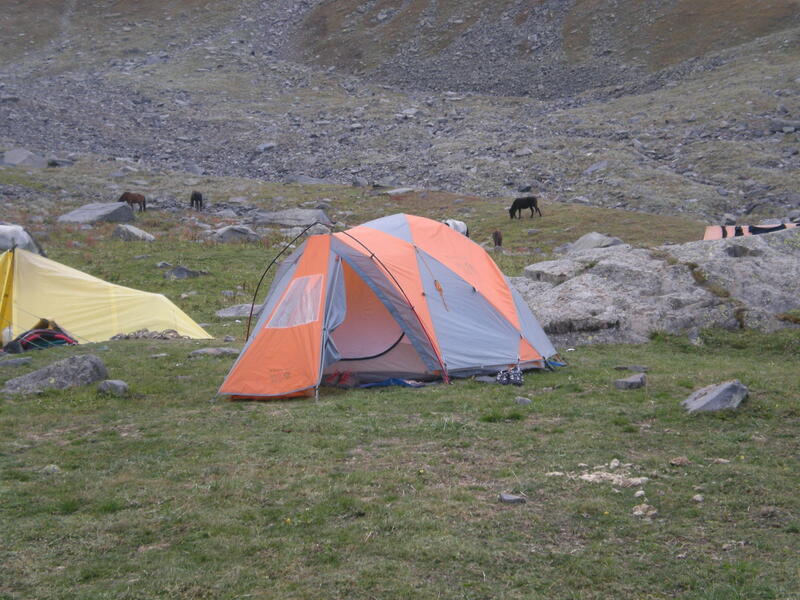 The trekkers can enjoy the beautiful campsites on the either side of the scintillating meadows and can get benefited from the sightseeing of the mountain beauty of the virgin landscape of the Spiti region. Alongside trekking, rafting across the Spiti region is the next best idea to appreciate the nature in its grand original form. An additional advantage for the spiritual or the religious trekkers will be visiting the famous monasteries all around the area to catch hold the Buddhist culture all around the vicinity. Nature’s delights can be seen at its complete innovated form when the trekkers will discover the famous Chandar Tal which is one of the most beautiful lakes in the world to look into the ancient Buddhist culture from close proximity. Arrival at Manali by morning. On arrival transfer to hotel for relaxes. At leisure visit Hadimba Devi Temple, old Manali, Tibetan Monastery and the mall. Overnight stay in the hotel. In the morning drive to Manikaran and from here we will start our trek. Khirganga is a hot spring where Lord Shiva is said to	have meditated. The difference between the spring here and in Manikaran is that after a bath in Khirganga, your skin will feel clammy and greasy whereas after a bath in the spring at Manikaran, your skin will feel dry. 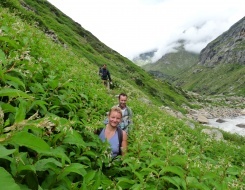 The trek commences through dense forests and flower-strewn meadows. The progress is gradual and slow as it's a steep climb to Tunda Bhuj. The trail continues through a landscape strewn with waterfalls, lakes and meadows till Thakur Kuan. It's another day of steep climb to reach the high altitude meadow of Odi Thach. 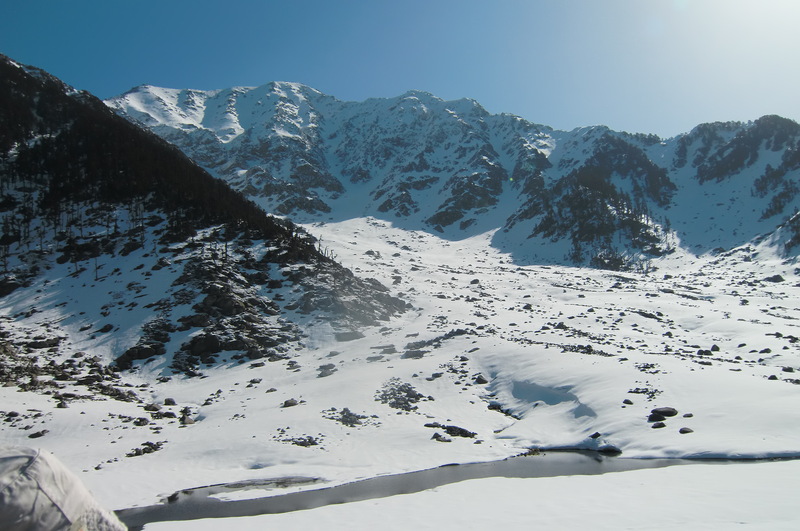 The trek up to Mantalai Lake is a gradual climb. Once at the lake, you can see the Mantalai Glacier, which is the source of the river Parvati. On the path, you will see the Pandu Bridge, which is made of a single rock on the river Parvati. It is said to make by the Pandavas during their exile in the Himalayas. Ascend to the base camp of Mount Parvati which also serves as the base of the pass. A steep climb takes you to Pin Pass (5300m). At the top of a large snow filled, crevassed hollow leads to the broad rocky saddle of the pass. At the top, one can see a splendid view of the snowy mountains of Hampta region on one side and the Pin valley of Spiti on the other. Trek along the Pin river in to the Pin Valley National park. Look out for the elusive snow leopards, musk deer and ibex. Trek through the barren, stark landscape of Spiti to Mud, a pretty village perched on a hillside. Walk through the rough road up to Gulling with a grand view of the local villages and a barren land of the "middle country". A jeep will be awaiting at Gulling and drive same day to Kaza. Overnight in Kaza. Monastic sightseeing in and around Kaza. Visit the Ki monastery, Kibber village, Dhankar monastery and Tabo monastery. Return to Kaza for the night. Drive to the Kunzum Pass, which provides the main approach to Lahaul from Spiti. From there head to Manali via Keylong, Koksar and Rohtang Pass. Arrival at Delhi by morning. On arrival transfer to hotel for relax. In the evening drive to international airport to catch onwards flight. Trip ends here. 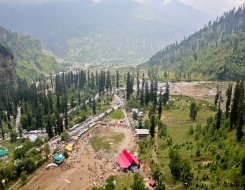 • Accommodation: Hotel in Manali and Kaza on twin sharing basis with breakfast. While on trek dome/alpine tent, carry mat, camping stool, kitchen tent etc will be provided. • Transport: AC Volvo Coach from Delhi – Manali & Back. Tata Sumo from Manali – Trek point and back. • Meals: In Manali & Kaza only breakfast will serve. • Trek: All meals will be provided. Meal will be freshly prepared and will be a mix of Indian, Chinese & Continental.